An accountancy practice with over 60 offices nationwide has expanded their services to Sunderland City Centre with the help of Pulse Creative Marketing. Certax Sunderland, a branch of Certax Accounting, is a professional practice offering a full range of services to SME’s and individuals. Part of a well-respected network of accountants, the locally owned and managed business allows clients to access specialist services and benefits without the extensive cost of relying on larger accounting firms. 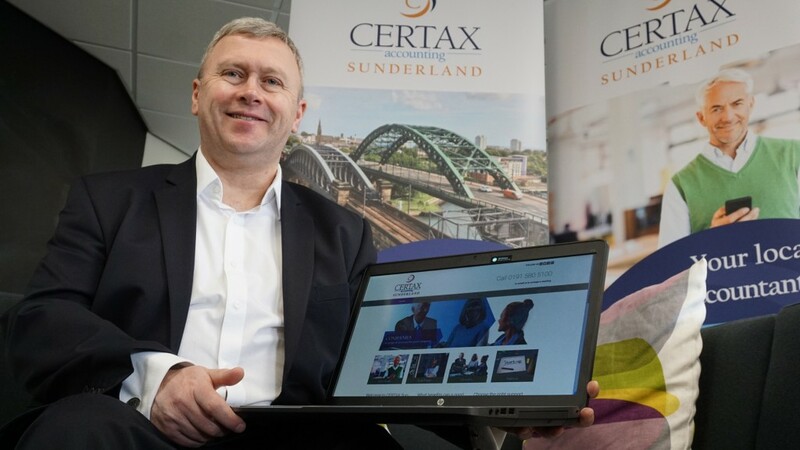 Michael Hendy, who runs Certax Sunderland from offices at Foyle Street, Sunderland, is a fully qualified Chartered Management Accountant and Director. His aim is to provide a service that goes beyond just “doing the books”; delving deeper into the client business support requirements and offering advice by applying 25 years of experience to the practice. The practice offers a full range of accountancy, taxation, book-keeping, payroll and consultancy services to individuals, sole-traders and companies. The ethos is “no customer is too small” and accounting needs can be met whatever the circumstances and whatever the size of the business. Certax are proactive accountants who take a genuine interest in your business and aim to help you to become more profitable. The finished website boasted full functionality and responsive design, giving users the opportunity to access the site on a range of compatible devices. Pulse Creative Marketing also produced a variety of promotional material: stationery, leaflets, banner stands and window graphics needed for Certax Sunderland to be recognised as a professional practice.